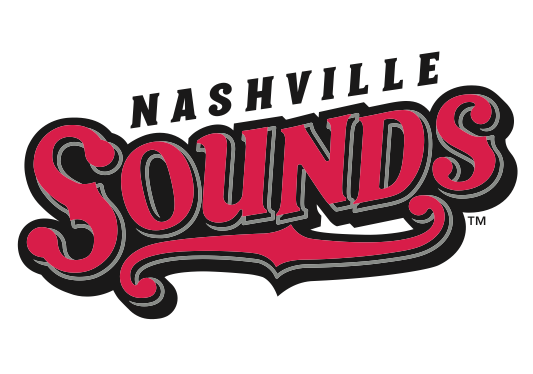 The Nashville Sounds have been plying their trade for a good long time in Music City. In fact, 2017 marks the long-standing minor league baseball team’s 40th Anniversary Season. 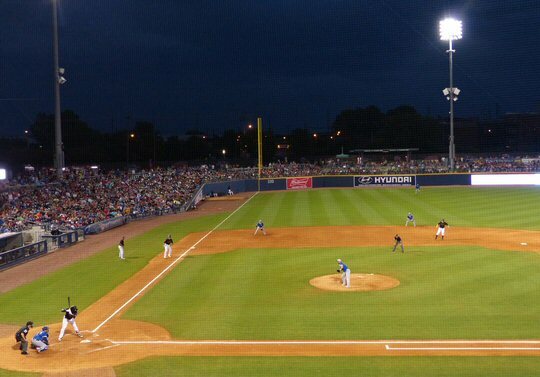 Fans turned out in force on July 3 to celebrate the holiday weekend and set a First Tennessee Park stadium attendance record of 11,764 in the process. 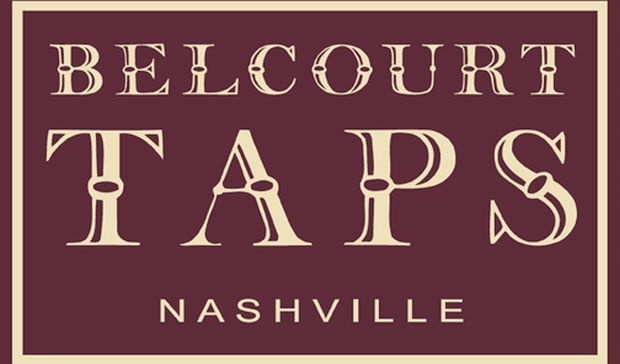 The Nashville Sounds step up to the plate once again in Music City. There was a festive atmosphere all around even as storm clouds and a threat of rain loomed throughout the game. Team mascot Booster was dressed up in Uncle Sam attire and was on the field to greet the patriotic parachute team from Music City Skydiving as the pair landed on the field just prior to the first pitch. First Tennessee Park located in downtown Nashville, Tennessee opened on April 17, 2015. It was built on the site of the historic Sulphur Dell ballpark that once hosted an exhibition against Babe Ruth and the New York Yankees. Up against the tough entertainment market of Music City the Sounds have gone the extra mile to make sure a day at the game is a memorable outing. In their outfield stands sits an amazing bar, mini golf course, ping pong tables and an area dedicated to the popular pursuit of corn hole – and, all were in heavy use on Monday evening. Scenes from the Sounds game on July 3, 2017. 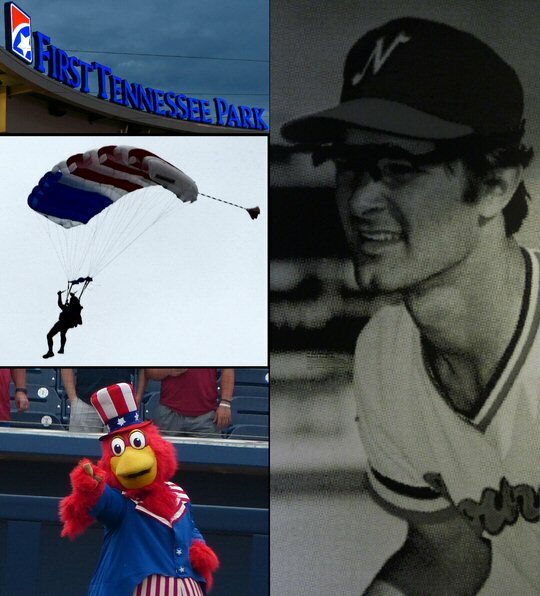 Speaking of the Yankees – on this night the Sounds celebrated one of the more famous players in their history as it was Don Mattingly throwback jersey night. The first 2000 fans to enter the stadium received a bright blue T-shirt in the style that Donnie Baseball would have worn during his tenure with the team in the early 80’s. As for the game itself it was well played and the competition see-sawed back and forth until some late inning heroics from the Royals coupled with a Sounds error sealed a 6-5 victory for the team from Oklahoma City. But, fans were still the big winners as a post game fireworks extravaganza helped kick off the Independence Day celebrations in grand fashion. The game included a mascot race featuring country music legends. Additional theme days are set including a Star Wars weekend on July 7, 8, 9 which promises a Light Saber giveaway, alien game worn uniforms that will be auctioned off for charity and a special characters night to close things out. This year a whole new type of sound is coming to the stadium as local heroes Kings of Leon will be playing at the ballpark in September for the first ever concert at the venue with the giant guitar scoreboard. That one’s sure to be a home run. 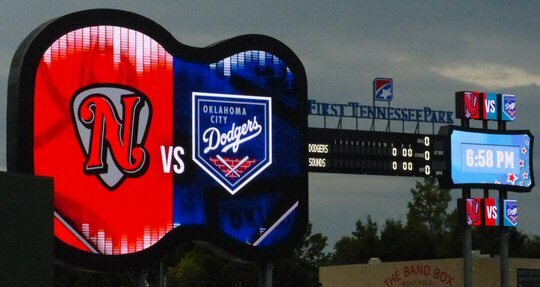 The Sounds versus the Dodgers in Nashville.